If you want to improve your skin, your environment and maintain long-term health, you should try and develop some beauty routines that take advantage of the many healing properties found in natural products. Studies show that some natural skin care products can even reverse some of the effects of the use of harsher chemical product's damage to the skin over time and science shows they work better then the chemical laden products. So here are five common-sense natural skin care techniques that you can use regularly to help keep your skin healthy. The first tip is to simply give your skin a break from harsh chemicals. Heavy daily use of chemical-based beauty products can clog pores and leave your skin dry and depleted. Occasionally give your skin a break and go bare. If, for whatever reason, you cannot go without make-up for an extended period, use a natural tinted moisturizer or mineral powder to let your natural beauty shine through. 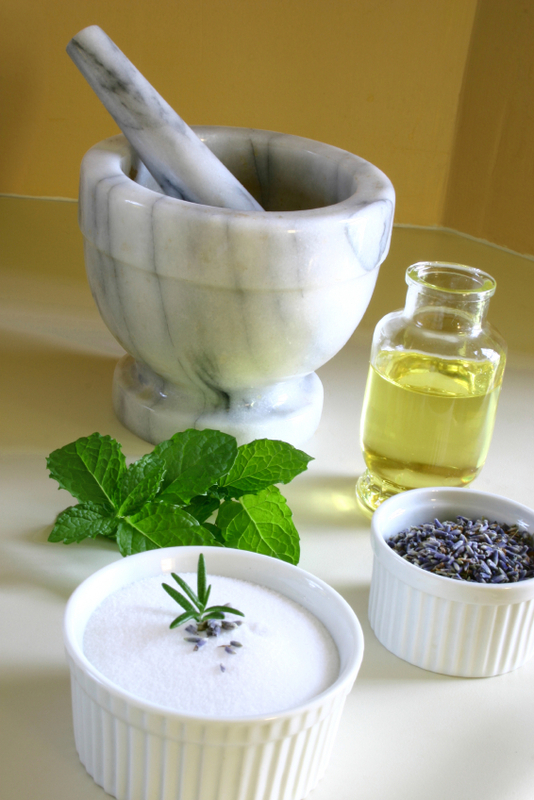 Replace those chemical and toxic laden face and body scrubs with home-made, healthy, natural alternatives. Since much of the beauty products that we use are often heavily chemically-based, manufacturers often use even harsher chemicals in their "cleansers." These products often leave your skin very dry since they remove your skin's natural oils. Help your skin by making your own exfoliating body scrubs with natural products like salt or sugar, with a dash of natural, fragrant oils. The great thing about these DIY scrubs is the fact that you can personalize them greatly by adding your own touch and favorite fragrances. Also, make sure you stay hydrated. Your body is over 75% water. Simply put, all of your body's functions are dependent on you having enough water in your system to make them work properly. Your skin is no different. As the first line of defense against the elements, your skin serves a purpose that goes far beyond aesthetics. It keeps all the harmful gunk outside, outside. Dry, cracking skin is the first sign of dehydration, and dehydration is simply not drinking enough water. Hydrate your body, and your skin will show it. Truly a natural wonder, coconut oil can be used in countless ways to improve your overall health. For your skin, coconut oil is great for lubrication, lightening dark spots, stretchmarks, bruises, bug bites, lip balm, or even a scalp conditioner and leave-in. You can use coconut oil to fill just about every conceivable beauty need. A great way to use it is to mix it with other natural ingredients like avocado (for hydrating masks) or sea salt (for gentle, soothing body scrubs). We often forget the importance of getting enough sleep. A solid eight hours of sleep a night gives your body time to rebuild and repair itself, including your skin. Be sure to remove all of your make-up every night before bed so you can get a good night's rest and the ultimate "beauty sleep!" Try these five all-natural beauty tips to help your skin retain or recover it's original healthy glow, and save money on your beauty regimen at the same time. About this guest post: Neil Chrysler has been extensively involved in research and development of skin care products. He enjoys sharing his knowledge on various beauty and lifestyle blogs. Visit Korres and check out their skin care products. Well one more thing I want to add in this list is Aloe Vera juice. This is the most useful herb for the skin as it keep your skin very safe and pleasant from outside dust. Hope you find this valuable!